The other night Rick noticed "that look" in my eye. No, not THAT look! The other look! The one that says, "I-am-so-frazzled-and-overwhelmed-that-I'm-about-ready-to-camp-in-bed-for-a-week-with-a-box-of-chocolate-and-a-good-book-or-ten." He reminded me that I haven't been marking my weekly calender with manageable to-do lists and have been flying blind. So today I sat down and wrote down the things that have happened/are happening/need to happen in the near future. 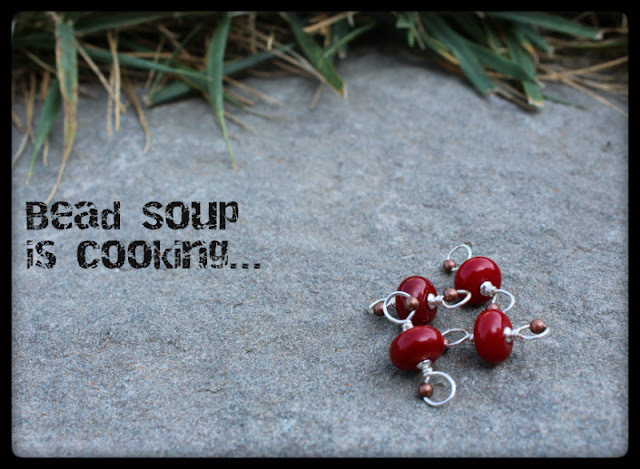 :: I've made 2.75 pieces for my first reveal of the Bead Soup Blog Party. These little guys are part of it. However, I have a lot more work to do and I'm completely out of ideas at the mo. 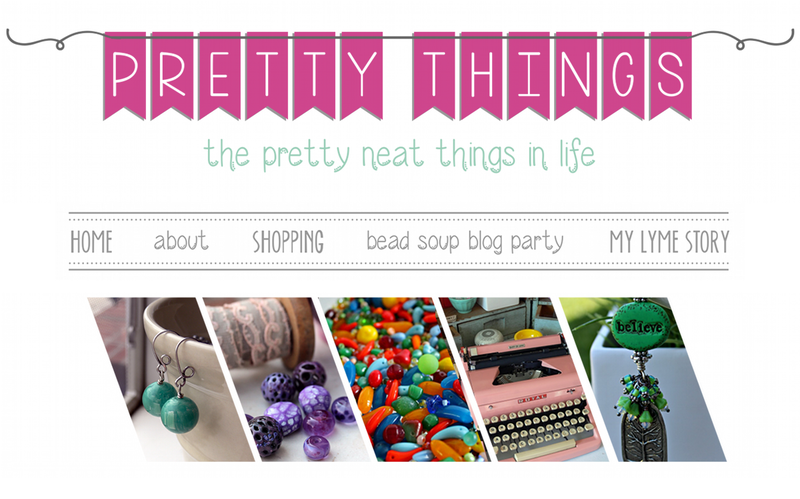 :: I just found out I will be guest blogging on October 2nd on Kind Over Matter, a blog I just love. I have been looking for more writing opportunities and hope this is just the beginning! I list that now because I want to get it written and out the door ASAP so I don't goof it up. :: I have to make jewelry with components sent to me from Beads Direct UK, and that means I'll be giving some things away from that lot, too! 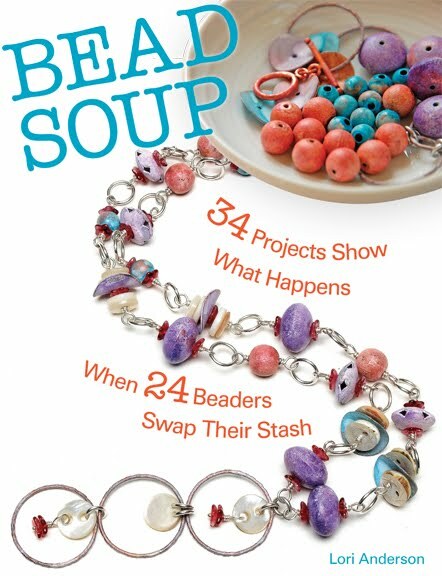 :: I need to write a tutorial for Barbara Bechtel of Second Surf and get bead kits to her before BeadFest. 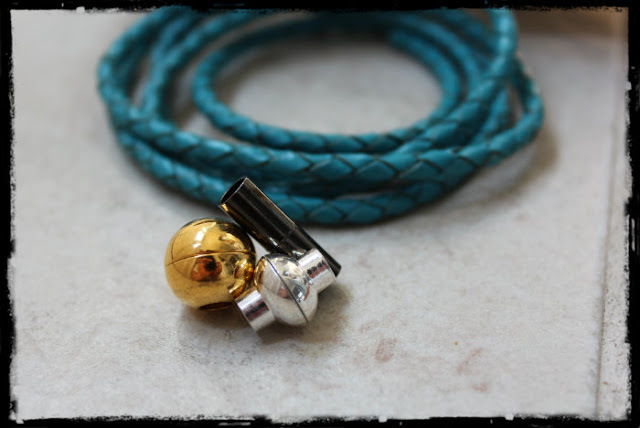 Remember this necklace? 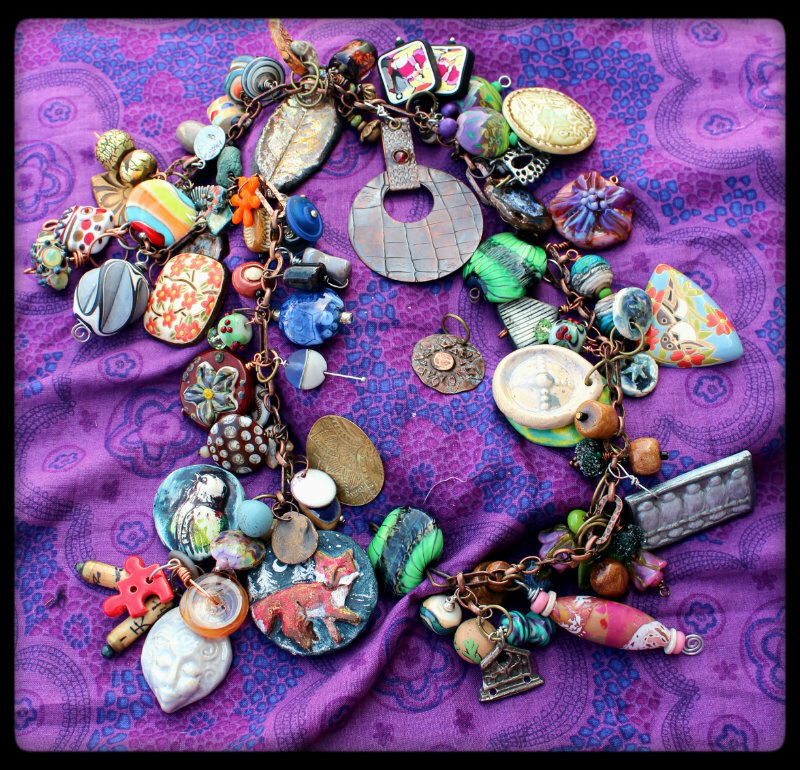 Barbara and I are putting together kits for it, to include her polymer clay, my lampwork beads, waxed linen, and pewter Thai beads. 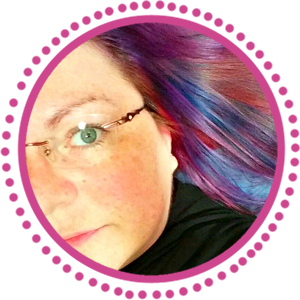 Look for her at Booth 553 if you are in Philly in August! :: I need to order more bezels for Zack's art Done. He said, "I call all the hearts!" So I guess you can expect some hearts from him soon! 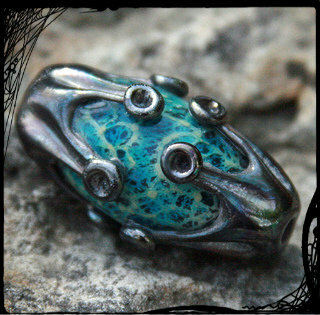 :: I am the next stop on the Art Bead Love Tour. I am super-psyched because the last time I won a try at something like this, the package went missing before I ever saw it. Bummer in a million ways! But this is what Zack and I have been oooh-ing and aaah-ing over today, and on Saturday, July 14th, YOU can comment for a chance on the tour! :: I need to update my web site. I DID update the slide show, but I haven't had time to sit and take photos and go through a million screens just to upload one piece. 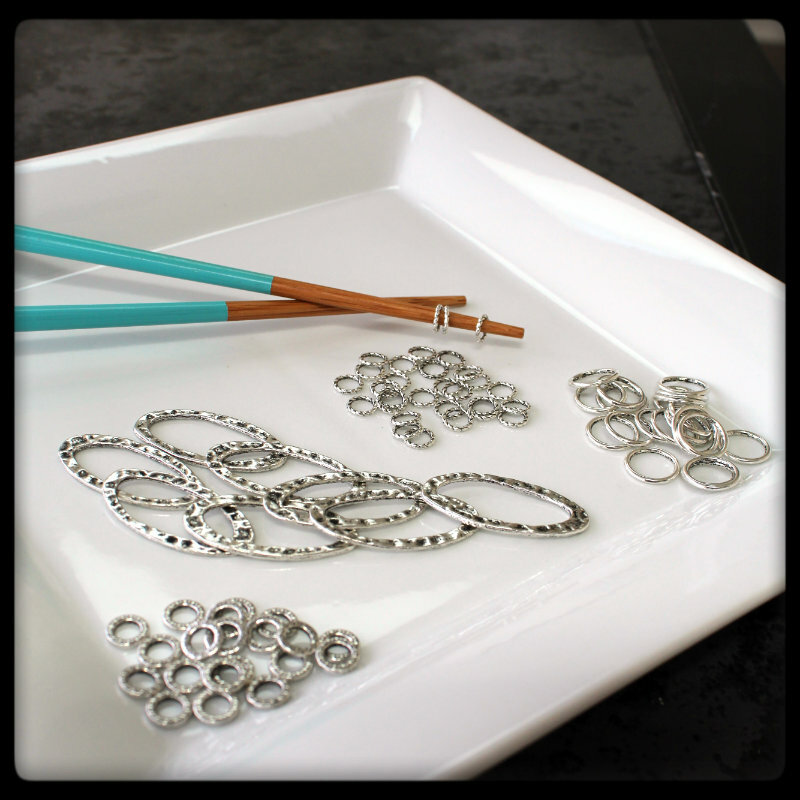 :: I DID manage to add a new soldered jump ring kit to the Bead Soup Kits shop today. 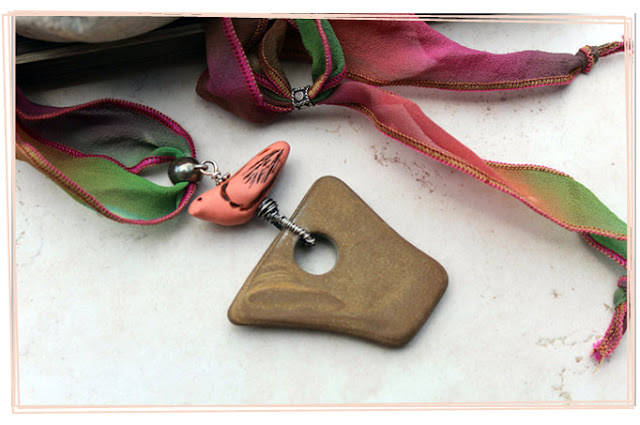 :: I signed up for Jennifer Cameron's Art Jewelry Elements Component of the Month blog hop. The blog hop is two days after the first Bead Soup Blog Party reveal but I'm participating for a few reasons -- I love Jen's Nightmare Insomnia beads (there's one in my book! ), I love the new AJE web site, and I'm slightly crazy. :: I need to write daily, if only for an hour, on my memoirs. I just have to write that down and treat it as an appointment. :: I need to realize this isn't that daunting of a list, parceled out in days and weeks. For me, writing a list just is a must. Thanks to the hubby for getting me back on track! I am lost without my lists...and easily distracted! Having husbands that look out for us is the best! I'm kind of currently there myself, but I'm no where NEAR as busy as you! I have a list in my head, but I don't follow it:) I do have a couple I have to use at work but that's cause they need to be done monthly. I love the fact that you were able to cross some things off right away but you left them there. Breathe...lists are a great thing! Helps to compartmentalize life! Of course a week with bed, chocolates, and books sounds great! It's the curse/blessing of being Right Brain artsy people! If we don't make a list, it gets lost in the shuffle...! I find that as I am aging, I am relying more and more on my lists (post it notes, really-I must work on my organizational skills)! I love what you did with those red lampwork beads...adding tiny seed beads to the loop! Can't wait to see the reveal! I make lists, then lose them, I'm trying to remember to use my ipad for that. So I end up floundering around and not achieving much at all. I think I'm too scatter-brained with a thousand things going on in my head and no cohesive way of dealing with them. 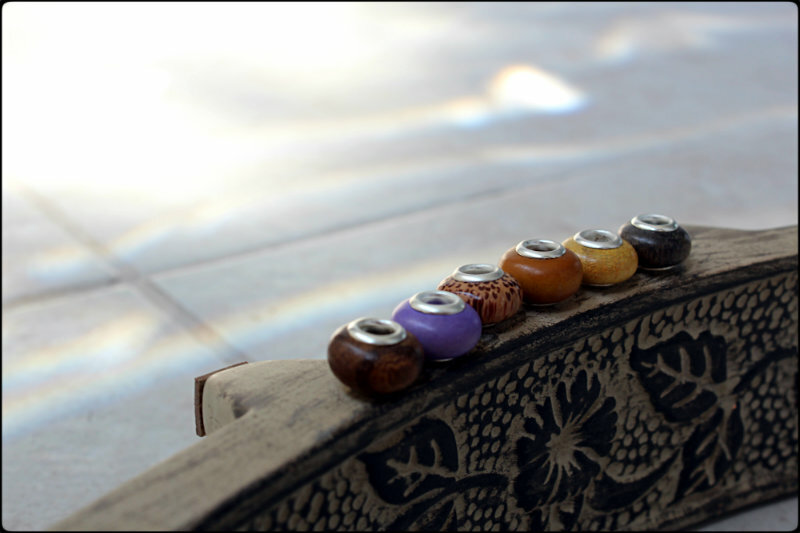 Love the look of the large-holed wood beads. I'm very undisciplined when it comes to lists! So I need to set myself some organising targets.Procrastinating is my biggest problem, along with getting distracted on blogs, but I will comfort myself by calling this research. You are amazing! Sometimes just making a list will calm my head. :) Can't wait to see Zack's creations. Have fun playing. Oh, yeah. I'm a compulsive list maker. I'll even write things down after I've done them so I can get the rush of crossing it off my list. 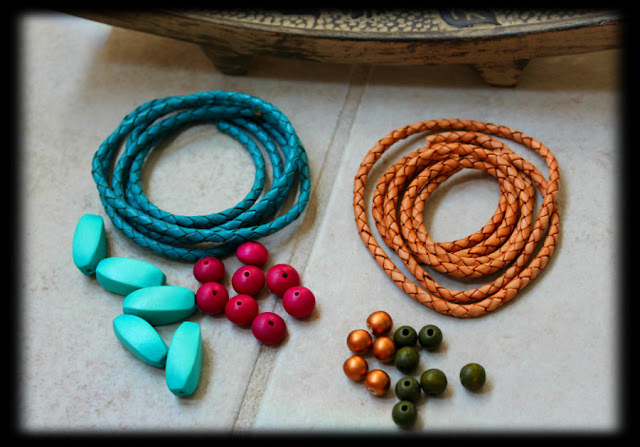 Love the necklace that you will be kitting--those beads would make a fun bracelet, too. A daunting list indeed! I think I am taking after you and maybe I need to start making lists as well. I will be in Philly so I will be looking for this kit!!!!! Oh my goodness I feel tired just reading this list. Do you have some time marked out just for you? Wow! That is some list! You are a busy gal. 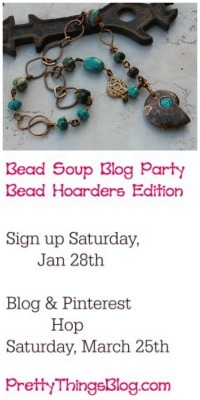 Can't wait to see your Bead Soup creations. Wow...I'm pooped just reading this. You are one busy woman. So glad to see you and Zach having such great fun together. My hubby also suggested I make lists and it really does help.